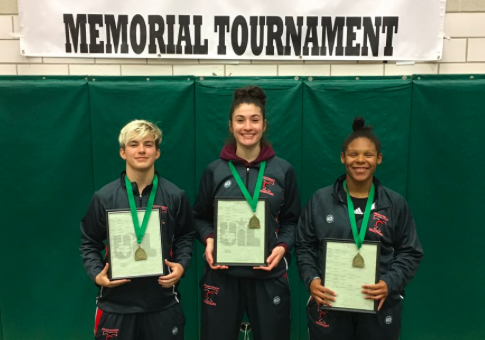 Texas school policy allowed a testosterone-taking wrestler, who was born female but is seeking to transition to male, to compete against teen girls and ultimately win a regional title after his competitor forfeited. Seventeen year-old transgender Mack Beggs of Euless Trinity High School revealed on social media that he started taking taking testosterone in October of 2015, according to the Dallas Morning News. Beggs won a regional wrestling title on Saturday after his opponent Madeline Rocha of Coppell High School forfeited the match. Beggs' coach declined to comment on why Rocha forfeited, but said it was expected. The Texas Education Code and University Interscholastic League rules dictate that high school students must compete with the gender stated on their birth certificate, and also allow athletes to use steroids that are prescribed for valid medical purposes, according to NBC's Dallas-Fort Worth affiliate. Rocha wasn't the only one who seemed to have a problem with wrestling a testosterone-taking peer. Coppell wrestling parents filed a lawsuit against the University Interscholastic League, which governs Texas high school sports, claiming that Beggs' testosterone use put other female wrestlers under an "imminent threat of bodily harm." Jim Baudhuin, one of the parents involved with the lawsuit, suggested other coaches had previously forfeited matches with Beggs out of fear for their wrestlers' safety. Baudhuin said he respected Beggs as a transgender male, but said testosterone use gave the teen a leg up on the competition. "All we're saying is she is taking something that gives her an unfair advantage," Baudhuin said. "It's documented. It's universal that it's an unfair advantage." Beggs declined to comment to the Dallas Morning News, but his grandmother Nancy Beggs suggested the lawsuit was about hatred and bigotry. "Today was not about their students winning," Beggs' grandmother told the Morning News. "[Mack Beggs and wrestlers from the Coppell team] have wrestled each other before, they know each other and they were not happy with this," she said. Two teen transgender athletes told the Dallas Morning News that testosterone does not always give athletes an unfair advantage because people within gender already have "natural differences in strength and speed."